The first show I directed in graduate school was Shepard’s “Fool for Love” and when I was a young director starting out I said that I would be happy to direct nothing but Sam Shepard plays for the rest of my career. That didn’t happen and I did broaden my horizons but I kept close track of Shepard as both a playwright and as an actor and looked for the opportunities to pull his plays into the classroom when I was a teacher. I only directed one more Shepard play, “Action,” for the public; in that play, a roasted Thanksgiving turkey is torn apart and a raw fish appears in a tub of water. In True West, radios, toasters, and typewriters are beaten to a pulp with a golf club. Shepard’s plays are demons to prop. I frequently use Shepard’s plays and monologues in acting and directing classes and still harbor a desire to direct and act in his long monologue, “Killer’s Head,” in which a blind-folded guy strapped in the electric chair rambles on about horses and the blue pickup truck he plans to buy today. I plan to pair Shepard’s True West with Suzan-Lori Parks’s Topdog/Underdog in my fall directing class. It seems to be an interesting project for analysis – two plays exploring brothers in conflict. When I heard about Shepard’s death, at 73, a few days ago, I felt like an old friend was gone. My first memories of Shepard are probably from reviews of off-off Broadway productions in the Village Voice in the early ‘70s. I think the first time I heard about Patti Smith was when she and Shepard had collaborated on the play Cowboy Mouth. In addition to writing plays, Shepard was an erstwhile drummer for the Holy Modal Rounders and co-wrote with Bob Dylan. His plays sounded like hallucinations of American life, of family life, of the lie of the American dream; they sounded like the kinds of statements I wanted to bring to life as a director. When I began to read those early plays, I was not disappointed. They are full of humor and pathos, complex and transient characters who might live in an altered reality just a few blocks away, and images that never leave the memory. Shepard’s popularity spread as much due to coolness of character and nonchalance to increasing fame as to the skill and beauty of his writing. No one else could wear jeans and a tee with such effortless style. The camera loved him and it was inevitable that he would become a strong presence in film. His face, the squint, the shock of brown hair that he constantly pushed back, the crooked teeth that seemed to add to the appeal rather than diminish it, and his lanky gait made him the logical subject for photographers like Bruce Weber (whose portrait of Shepard illustrates this essay). His plays are a joy for actors and directors because he leaves so much room to explore, so much acreage for the imagination to roam. There are no answers, I imagine him saying, and that’s the answer. …They fight like crazy in the middle of the sky. That cat’s tearing his chest out, and the eagle’s trying to drop him, but the cat won’t let go because he knows if he falls he’ll die. …And the eagle’s being torn apart in midair. The eagle’s trying to free himself from the cat, and the cat won’t let go. …And they come crashing down to the earth. Both of them come crashing down. Like one whole thing. In “Fool for Love,” the bed in the middle of the room creates the literal and figurative obstacle between the doomed lovers, Eddie and May. They bicker and fight and embrace under the watchful but distracted eye of a spectral Old Man who may be their common biological father. “HEEZ MY HAAAAAAAAAAAAAAAART!! !” Beth wails about the man who almost killed her in A Lie of the Mind. 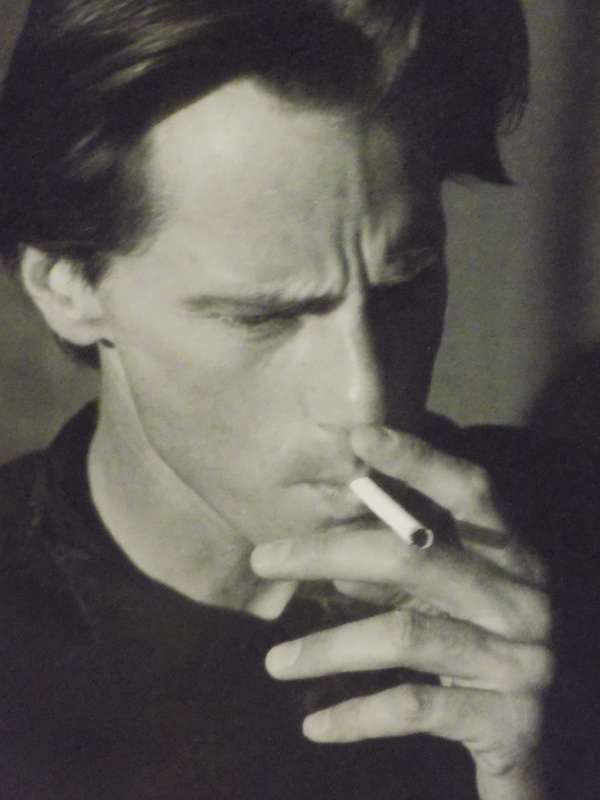 Sam Shepard wrote plays in which the love spiral and the death spiral are often indistinguishable. Sam Shepard has gone out into the air now, and disappeared. His plays will be around as long as theatre-goers like a challenge. This entry was posted in Sam Shepard and tagged A Lie of the Mind by Sam Shepard, Action by Sam Shepard, Bob Dylan and Sam Shepard, Bruce Weber, Cowboy Mouth by Sam Shepard and Patti Smith, Curse of the Starving Class by Sam Shepard, Fool for Love by Sam Shepard, Holy Modal Rounders, Patti Smith, Sam Shepard, Topdog/Underdog by Suzan-Lori Parks on August 2, 2017 by gedwardjourney.